›Posterazzi SAL900119341 Italy Rome Vatican City St Peters Basilica the Last Supper by Raphael Santi Fresco 1483-1520 Poster Print - 18 x 24 in. Posterazzi SAL900119341 Italy Rome Vatican City St Peters Basilica the Last Supper by Raphael Santi Fresco 1483-1520 Poster Print - 18 x 24 in. 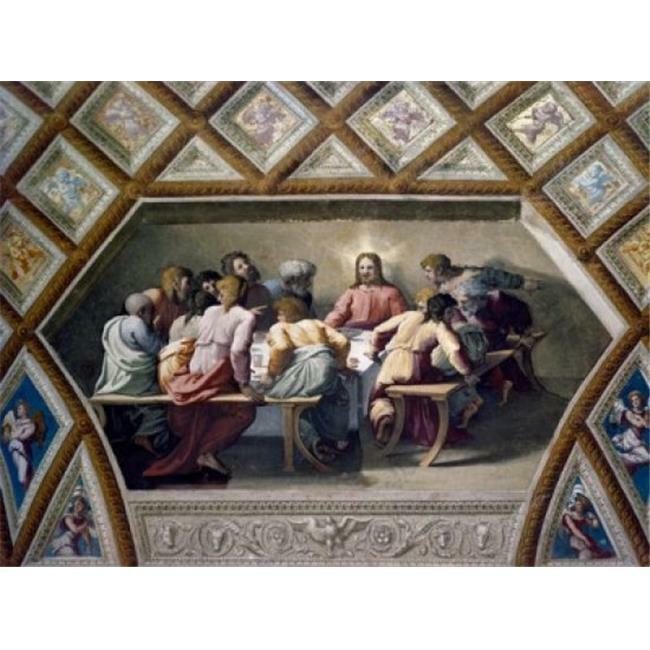 Italy Rome Vatican City St. Peter's Basilica The Last Supper by Raphael Santi fresco Poster Print (18 is a licensed reproduction that was printed on Premium Heavy Stock Paper which captures all of the vivid colors and details of the original. A print great for any room! Our print are ready to frame or hang with removable mounting putty to create a vintage look.